Whenever you need a carpet cleaning services in Camden Town NW1 or you just want to get rid of some stubborn stains in your home property, Magic Carpet Cleaning is the right company for you! We have been providing excellent quality carpet care at a very reasonable price for over 10 years. Our professional carpet cleaners are fully vetted, insured and have certificates from national associations – a guarantee for professionalism. Book a service now by calling 0208 861 0979 or fill the contact form below. 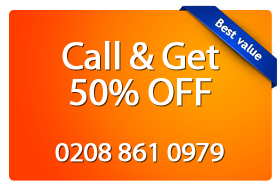 Why Choose Magic Carpet Cleaning in Camden Town NW1? No need to put up with the old stains. Our cleansing experts promise to clean them without a trace! Magic Carpet Cleaning uses only 100% safe detergents and thus takes care of you, your family and the environment. You can be certain that you will be safe from hidden charges and additional fees. We are in line with all innovations in the field and we offer the most current solutions to any type of dirt. We guarantee our professionals will clean until you are satisfied with the results! Like we all probably know, billions of microorganisms live in our carpets and other textile furniture. Sometimes, they can cause us and our families a lot of problems, most often allergies. We at Magic Carpet Cleaning have a solution for this problem and its name is Steam Carpet Cleaning. This is one of the most effective approaches to professional cleaning at present. It is recommended by carpet producers as a cleaning method that most effectively destroys microbes from the textile fabrics. Steam Cleaning kills all allergens and this is the biggest advantage of this treatment. Detergents are mechanically rubbed into the fabrics and are then taken out by hot water extraction. As a result, you receive above 99% removed soil, dust, blemishes and allergens. Get the dust, dirt and spots out of your office, business building, outlet, store or other public building. You can effectively do this by using the method of dry cleaning. Our experts rub powdery substances into the textile floor and then remove them together with the dirt by vacuum. One of the best things is that the visitors and customers do not have to wait until the floor is dried since this approach does not use water. The dry powder cleaning treatment preserves delicate fabrics and extends the life of your carpets because it protects them from mold. The detergents used are 98% biodegradable. If you want to have your rugs, sofas, curtains and furniture refreshed, contact the professional cleaners of magic Carpet Cleaning! They are certified to work with detergents of diverse origin – acid, alkaloids, etc. and can remove stubborn smudges like coffee, traces of pet urine, wine, food, chewing gum, chocolate, etc. Your artificial or natural materials will be cleaned to perfection. Having and maintaining a clean and fresh home is not an impossible dream anymore! We clean Camden Town NW1 properties and can change your property beyond recognition. Call 0208 861 0979 and see for yourself.